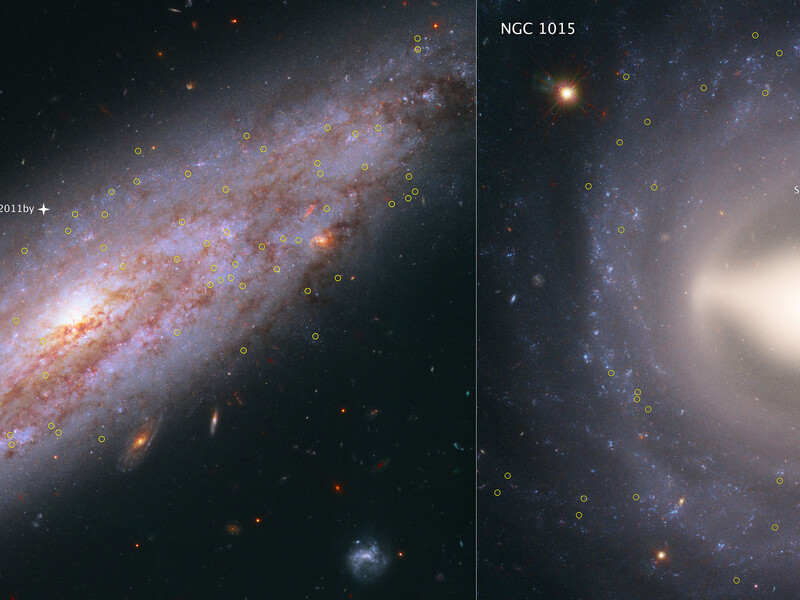 These images from the NASA/ESA Hubble Space Telescope showcase 2 of the 19 galaxies analysed in a project to improve the precision of the Universe's expansion rate, a value known as the Hubble constant. 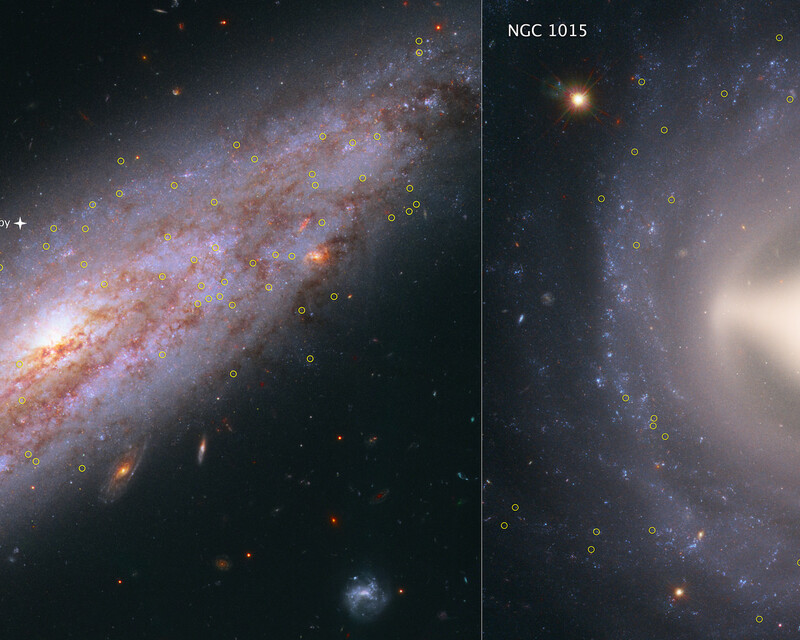 The colour-composite images show NGC 3972 (left) and NGC 1015 (right), located 65 million light-years and 118 million light-years, respectively, from Earth. 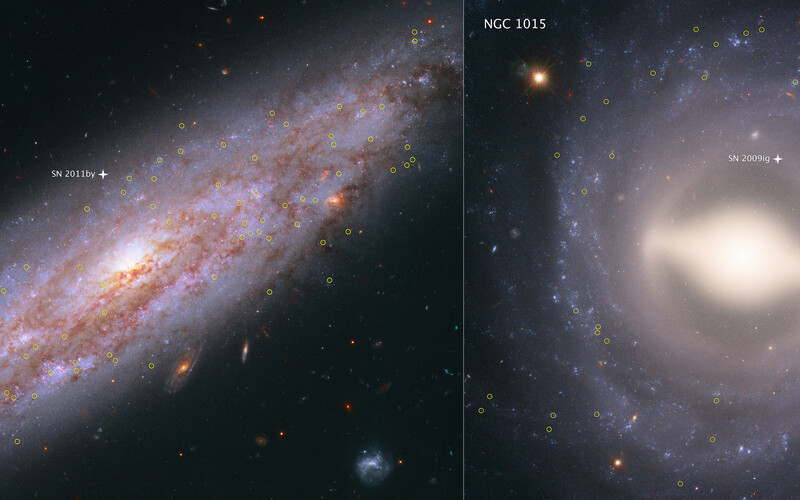 The yellow circles in each galaxy represent the locations of pulsating stars called Cepheid variables. These stars blink at a rate matched closely by their intrinsic brightness, making them ideal cosmic lighthouses for measuring accurate distances to relatively nearby galaxies.